Imagine a beach far away from the everyday life and stress, immersed in a natural environment, you can relax and enjoy yourself with your family without renouncing to the company of your dog, which is considered as a member of the household. The “Beach33” is a beach in Rimini which is able to offer you quality services in prevision to live a holiday in complete relax. Part of the beach is dedicated to the dog’s reception; in this structure we admit dogs of all sizes, kept on a leash and accompanied by their sanitary diary. Specially thought for children instead, there is a fenced playground where they can play under the supervision of parents. The Rimini “Beach33” is an accommodation facility plenty of services : bar, restaurant, nautical Centre, sport equipment and infrastructures for disables, for an absolutely perfect holiday at the seaside. 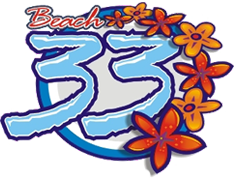 Beach33 is the first beach Marina Centro of Rimini equipped for the reception Dogs!